It's time to open up your cupboards for the Christmas decoration. 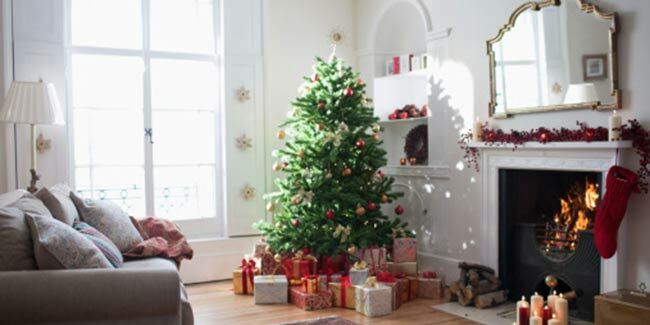 Decorating homes and Christmas trees is a traditional method of celebrating Christmas. With Christmas just round the corner we can see streets full of decoration materials. Come Christmas season and it's time to open up your cupboards for the decoration. Decoration for Christmas is as special and important as it is for any other festival be it Diwali or Ganpati. The Christmas decorations are a harbinger of the festive season. With Christmas just round the corner we can see streets full of decoration material ranging from candles, to decorative balls, dummy Santa Claus, Christmas caps, stuff toys, packed gifts, stockings, bows, ribbons, candy canes, lanterns, angels, sticky mirrors, artificial flowers, Christmas Trees, wreaths, mistletoes and poinsettias. "Decorating homes and Christmas trees is a very traditional method of celebrating Christmas. We get busy searching for the best accessories and thinking about new ideas for Christmas decorations. We all friends usually gather at a Christian friends place and help her with the decoration. This year there are a lot of varieties of accessories for decoration in the market, we just need to roam around the city with open eyes and select the best for us," says Rishi Wadhwa. We have always seen that simple decorations win over the gaudy, flamboyant and flashy ones. During Christmas people usually decorate their doors, balconies, outdoors, garden, backyards and offices. The decorations are very important as they give a special touch to the celebration. Some easy techniques for Christmas decorations include preserving the decorations used earlier and re-using them instead of buying inexpensive decoration stuff every year. Another technique is if you have kids, encourage them to prepare handmade decorations and use it to beautify your homes. You could also decorate your homes with your own family photographs. Lighting up your Christmas tree with decorative lights looks very attractive. "One of the very essential parts of the Christmas decoration includes the Christmas crib, depicting the birth of Christ. Hanging a crib near the decorated Christmas tree or mantelpiece gives a fresh touch to the decorations," says Enoch Samuel. A crib is generally made of wood, so you could innovate it with any other material and give it a new look, he adds. They give a very lovely look to the decorations. Setting them up at different places sets the mood for the season and its celebrations. One could get these from all the stores decking up the decorations. Amidst all the varieties available homemade ornaments win over, they give a more personalised feel to the celebrations. If these are bought in the non-Christmas season they save a lot of money. 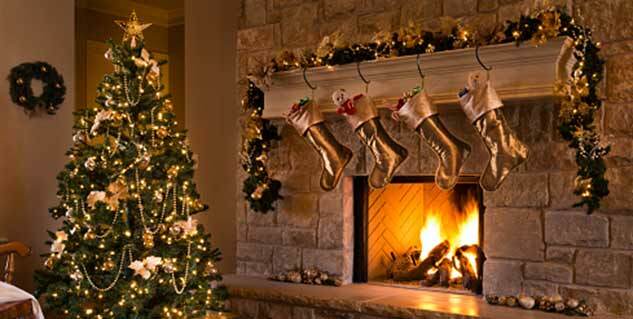 Decorating the mantel is one of the most important traditions of Christmas. It has been followed for years now. A mantel piece looks very elegant and adds a graceful touch to the entire décor of the home. Silver textiles, crystal bowls, fresh flowers, photo frames, floating candles if decorated with the mantel gives it a very stunning look. This is the best opportunity to make an impression on the guests. It gives you a huge chance to think out of the box and decorate your interiors completely the way you want. Some of the traditional colours used for decorating interiors during Christmas include green, white and red. However the trend has changed and the most in colours this year includes yellow, pink and red. If these are included your decoration would surely look unique. Indoor decorations require simple stuff like lights, fresh flowers, drapes, scented candles and bows. With just what you have at home you can beautifully decorate your interior and take help from your kids and make your work easier and more innovative. With the umpteen numbers of choices that you have for home décor, selecting one is difficult but fitting in everything that is in your mind is much more difficult. So first of all you need to zero on to a theme which may vary from cardboards, papers, clothes, satins to shapes. It is completely your take and decision. Most of the homes have red cardboard heart as their theme as all the decoration for this is very easily available. But the other varieties are also not that difficult with so many customised stores these days, which would help you with décor related to your theme. It may seem to be the easiest task, but it actually isn't. Depending on your choice and feasibility you decide from a natural tree or artificial one. The decoration of the tree includes embellishing it with rings, stockings, candies, gift wrapped in colourful papers. The Christmas tree décor should be such that the tree branches could bear the weight or else they might just dangle and droop down. Always place the Christmas tree in such a place that no kids may dash into it while playing. Keep the tree as simple as you can and spread the festive mood. Read more articles in Festival Fever.